To those of us who are relative strangers to this Kiwi Batsman in the New Zealand national side, Martin Guptill is an opener who opens for the one day and test side alongside the brutal and bludgeoning stroke play of Captain Brendon McCullum. He is as simple and unglamorous as they come. 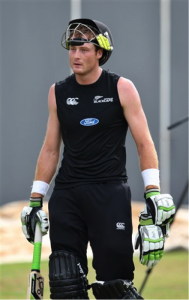 Tall, well built to the point of being adequately fit enough to represent the side regularly for past six years, Martin Guptill isn’t exactly your cricketing avatar made of bright and shining gloss lit headlines that scoop over the tumultuous lives of cricketing demigods. But, to those of us who are rather lop sided in assessing their cricketing heroes, preferring to place class over limelight in an era where T20 cricket is dominant, Martin Guptill is a reflection of the values prescribed in cricket’s text book where that bookmark rests on the page where patience, stubbornness and dedication are marked in bold ink. Martin is a simple and uncomplicated bloke who approaches every single game that he proudly represents for his New Zealand in a customary calm and collected manner that one associates with a routine cricketer. And, yet that does not suffice in describing the obdurate batsman. 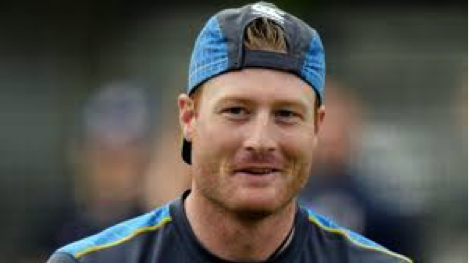 Guptill is only 28 and far from being at the peak of his batting powers, but in a career that began in 2008 following a domestic season onslaught, he has brought joys to the New Zealand supporter and earned respect from the lover of the sport in general. Martin Guptill has been a regular feature of the Kiwi playing eleven for a good 7 years since he first broke out on the international scene in 2008 and ever since he began padding up alongside the more popular McCullum, he has closely guarded New Zealand’s batting line up with consistency and remarkable decorum. The 28 year old bloke from Auckland is about to close in on 4000 runs in limited over cricket, an important round up for any batsman who still has to near the peak of his prowess, giving a daft hint at the years that lie ahead of him. From 110 one day international innings, he has meticulously collected those 3993 runs at a healthy batting average of 40, a figure that still doesn’t convey his full talent. What makes Guptill stand proudly alongside partner McCullum is his heroic strike rate of 86. As an opener, he is far from suggesting selectors that he is in the league of those ‘makeshift’ batsmen who often pave way to greater talent up the order. Crafty in negotiating with spin and solid against the new ball, Guptill has kept the Kiwi flag stuttering at the highest level of the game and in the process has smartly collected those 1858 runs from 63 test innings with a highest score of 189, a knock in which he belted England to all sides of the luscious Southampton ground. His opponents never have a word of ill to say about this handsome young man and none of the television cameras have ever recorded Martin swearing in against the opposition. 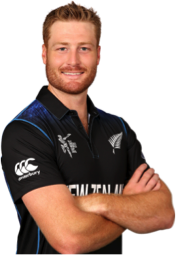 If concentration were to find a template for glowing representation, perhaps it wouldn’t shy away from looking at Martin Guptill. Purely from the perspective of a New Zealand player, Martin Guptill is a balanced chap who lets his work and the highly praiseworthy work ethics do the talking on the 22 yards. Recently, we witnessed cricket’s great carnival: the ICC Cricket World Cup , as hosted by New Zealand and Australia in a manner unforeseen and unimagined owing to the tournament’s epic success. But, out on the batting crease at the vantage point was the quite man from Auckland who had already made a plan for himself and for his proud Kiwi side. In a tournament set ablaze by India’s rising juggernaut, Australia’s constant threat and West Indian Chris Gayle’s explosive double hundred, it was Guptill who feathered a glorious achievement in New Zealand’s hat. 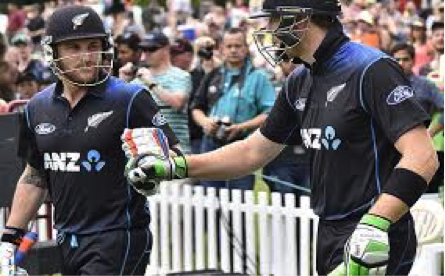 All throughout the tournament, Guptill was provided able support by dashing opener McCullum whose attack from the word go approach to every inning, had already smoked the dust out of the Kiwi opponents. This left Martin with the task of holding on to one end in a bid to construct regular, well paced innings. And he did not disappoint. Just when all the action had seemed to be withering away from New Zealand, with spectators already falling prey to the glorious and uncontrollable A B de Villiers show, Guptill came out of nowhere and took the attack to the dangerous West Indies side in a crucial game played at Wellington. In a finish that was unspectacularly anything but nail-biting, seeing a Windies collapse in front of New Zealand’s towering 393 runs on the scorecard, Guptill alone compiled 237 of those. The New Zealand triumph took them to the semi finals where they further knocked down an ever imposing South Africa and Guptill’s marvelous script at Wellington saw the untimely exit of the Caribbean kings who were reduced to peanut sized imposers. Guptill’s 237 came of just 163 deliveries and the batsman who none had counted nearly as threatening as the flamboyant McCullum or the sublime Williamson settled a huge score not just with those who had undermined his talent but with those who sheepishly ignore class over sparkle and dismiss substance in front of flair in an unwitting fashion. Martin first gained recognition during an incredibly successful season for Auckland during 2007-08 when his 596 runs during the state shield tournament enabled his home side to the finals and trumped his fortunes toward New Zealand’s playing eleven. The batsman carried his purple patch over to the emerging player’s tournament in Australia. 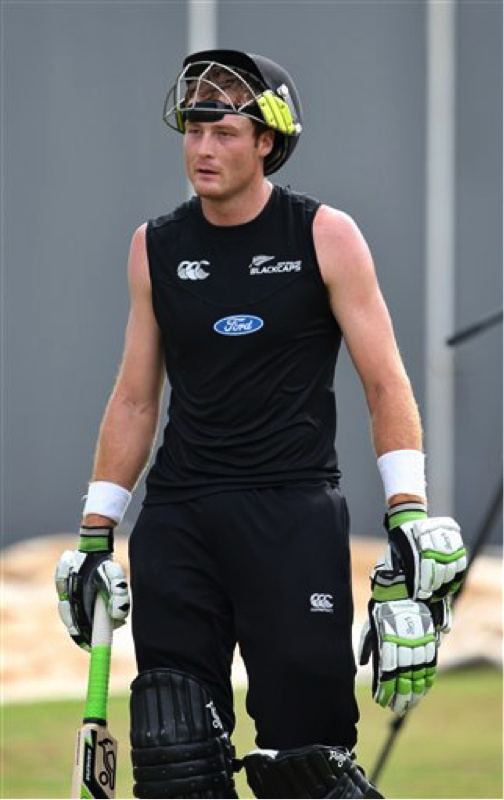 Ever since making it into the national New Zealand side, Guptill hasn’t looked back on those arduous and laborious years he put himself up against, the result of which has seen the team gain a useful player who holds hardwork and resolve just as important as the need to rotate strike whilst building a strong foundation, all for the team’s cause. 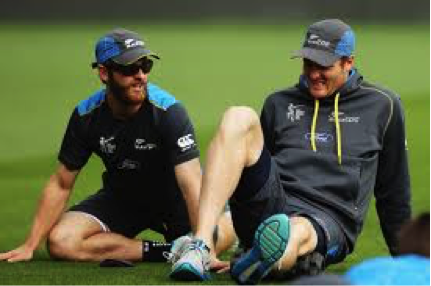 What do we learn from Martin Guptill’s journey? In an age where thrill and anticipation keenly punctuate cricket’s tumultuous journey amidst the unruly terrains of team selection, cricket politics and the grandeurs associated with the shortest version of the game, Guptill’s silent success is a constant reminder that if you play the game by its old and classical rules, success is surely a given. The need to discipline and work constantly as hard need to come just as naturally to an international cricketer as the stark reminder that most great batsmen live by: that you are only as good as your last inning. In times where excessive competition and rise of the flexible and adaptable seem to be the talking points of cricket ,as witnessed in the astonishingly successful career’s of A.B., Maxwell, Guptill’s journey is a calming reminder that constant grind, patience and self belief is necessary to make the cut. Then, if you do so, you may just as well break conventional barriers and norms associated with silent batsmen who go onto hunt the big fish, as evident in our man’s case. After all it was his total lack of panache and orderly batting that made him find his name amidst global headlines that reverberated during the discussions held after his assault against the Windies. But remember, hard work comes first.